Determined to save Buddhism in Burma during colonial rule, Ledi Sayadaw popularized the teachings of the Abhidharma and introduced thousands of laypeople to the practice of insight meditation. As Erik Braun tells us, he set in motion a revolution in Buddhist practice still being felt around the globe. More than a century ago, as the British were taking over his country, a Burmese monk named Ledi Sayadaw grew concerned about the impending threat to the nation’s precious and fragile Buddhist tradition. He believed the Burmese people were not doing enough to protect Buddhism in the face of colonialism, and that the discipline of monks, who were charged with upholding the teachings, was weakening. Ledi Sayadaw resolved to take action. And in doing so, he sparked a revolution no one could have anticipated: the widespread practice of vipassana, or insight meditation. Although little known in the West, Ledi Sayadaw was responsible for making the practice of insight meditation, based on the mindful observation of one’s experience, accessible to all kinds of people—not just monks or nuns, but fishermen, hunters, and farmers. As a result of his influence, today many more people have been introduced to insight meditation: business executives, software developers, teachers, and schoolchildren, to name a few. Such practice is now in deep dialogue with nearly all Buddhist traditions—including those of Tibet, China, and Japan—and it forms an integral part of research, experimentation, and reflection in the fields of psychology, neurology, and Western philosophy. The boy who would become Ledi Sayadaw was born in 1846 in a jungle village some eighty miles from Mandalay, which at that time was still the capital of an independent kingdom that covered the upper half of today’s modern Myanmar (the name the present government uses). British territory and influence, however, surrounded the realm. The king of Burma, Mindon (1853–1878), and his subjects were well aware of their precarious position. Ledi Sayadaw certainly was, too, and he shared with other Burmese a sense that time was not on their side. Indeed, from the Burmese Buddhist perspective the flow of history rarely is, because it is commonly understood by Theravadan Buddhists that Buddhism will inevitably disappear from this world, not to reappear for “incalculable eons.” Now, in the face of colonialism, they could see clearly how that end might come. Ledi Sayadaw meant to make the most of his time—“To spin cotton,” as the Burmese put it, “while the moon is bright.” Alone and just twenty years old, he set out from his village in order to try and win a place in Mandalay at Thanjaun, one of the most prestigious monasteries in the land. Any monk wishing to be admitted as a resident there had to sit at its entrance and perfectly recite, from memory, the rules of training for the ordained. For an unknown monk from a family of farmers, seeking admission was a bold move. Monks at Thanjaun were some of the most powerful in Burma. The abbot was one of the king’s closest advisors, and he and others in the monastery sat on the royal advisory council. To be at Thanjaun was to stand at the heart not just of religious power but very near the apex of political power as well. Ledi Sayadaw made it in. At first, he had to sleep on a rough mat in front of a water pot, getting out of the way every morning when the monks did their morning ablutions. But he quickly came to the attention of the abbot as a bright and ambitious young monk. It is said he got noticed because he sang out in a loud voice during every recitation and sought out extra teachings on the dharma. It was not long before he was studying under the abbot and other high-placed officials—and sleeping in a better (and drier) place. In the path proposed by Ledi Sayadaw, the layperson became a sort of lineage holder. Whether intentionally or not, this highly democratic move has had profound implication for Buddhism in the modern age. At Thanjaun, the route to recognition was not meditation but scholarly ability. How well do you know the canonical texts? The commentaries? The sub-commentaries? The sub-sub-commentaries? These were the questions that mattered. A promising scholar, Ledi Sayadaw came to prominence and was soon appointed a student teacher, and later a full teacher. During that time he did not have any achievements in meditation. In fact, there is no record that he seriously meditated at all during his years in Mandalay, from 1867 to 1883. 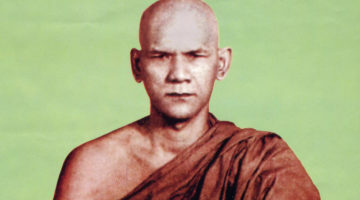 Instead, Ledi Sayadaw focused on scholastic study (pariyatti in Pali), particularly on the difficult philosophical texts known as the Abhidhamma. Such texts describe reality from an “ultimate” (paramattha) perspective. In this system, all things are analyzed in terms of the continual arising and passing away of moments of mind and matter that cause the deluded person to see the conventional world as solid and real. It is, then, a deconstructive system that seeks to break down reality into its insubstantial and ever-changing parts, revealing, finally, the impermanent, essenceless, and suffering-infused nature of all beings’ experiences. Meditation was present in the curriculum but only as another topic of study, often presented in relation to Abhidhamma philosophy. Ledi Sayadaw saw how his teachers used such theoretical thinking about meditation—but not its practice—as a way to understand the world in Abhidhamma terms. Few monks meditated, and those who did typically lived far from the bustle of the royal capital. The lack of emphasis on meditation in the monasteries sometimes surprises people, especially when it comes to Burma, where insight meditation is so prominent it has, at times, seemed to be the country’s number one export. Ledi Sayadaw’s time ensconced in the rarefied scholastic atmosphere of a royally supported monastery in Mandalay would not last. His life was turned upside down with the collapse of law and order that accompanied the reign of the next and last Burmese king, Thibaw (1878–1885). During Thibaw’s rule, lawlessness increased and society became destabilized. A huge fire broke out in the capital in 1883, razing Thanjaun along with the entire northern quarter of the city. Ledi Sayadaw lost his home, and his teachers and students were scattered. He also lost the extensive notes to a book he’d been working on for years. 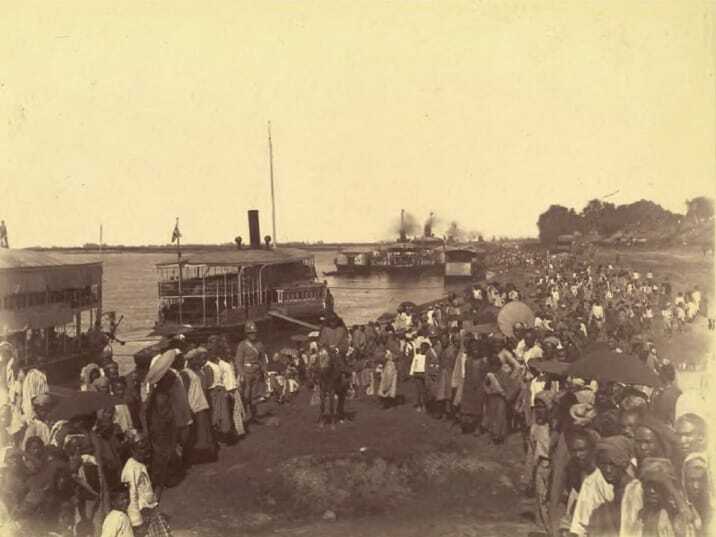 Burmese people greet the arrival of British forces on the shores of Mandalay, 1885. Suddenly unencumbered by position or duty and perhaps shocked by such an event, he returned to his family village. But his return was not a retreat. 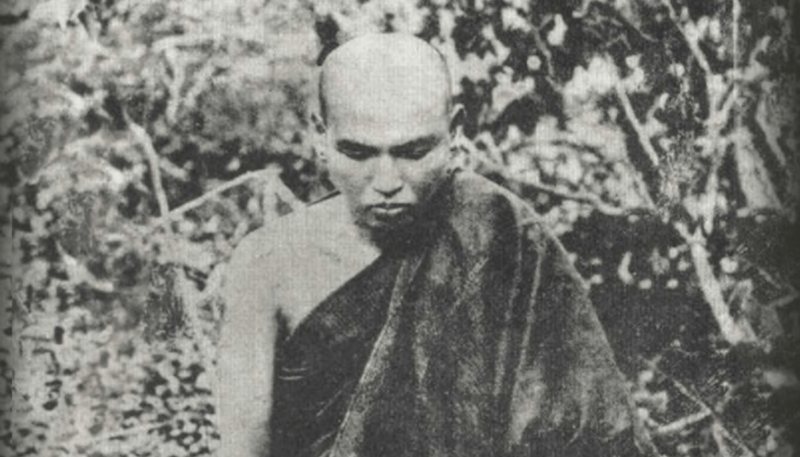 Rather, in a short span of time, he founded a monastery in the nearby “Ledi forest” that would give him his name, the Ledi Sayadaw, or the “respected teacher of the Ledi forest.” It is at this time that he began to meditate in earnest, using the theory he had learned in Mandalay. The annexation of royal Burma by the British in 1885 only cemented his feeling that time was of the essence. The threat to Buddhism was now immediate. Near the end of the Buddhist tradition many people are born, but try finding a man like me in the world. Set up the flag of great diligence—proclaim me like no other! I practice all sorts of meditation. With lion-like intellectual powers, I have completed the path of jhana. I have mastered and control all five of the masteries [of the jhanas]. In all the realms under and above Brahma, I have set up the flag of power abundantly. I will reside in contentment. In the future I will be brave and unsurpassed during the victory of the next Buddha, Metteyya. Such a blunt statement of meditational accomplishment by a Theravada monk is extremely rare. But Ledi Sayadaw was an unusual man. He said that he had finished the jhanas, the deep and powerful absorptions that prepare the mind for insight, and that he had done so by controlling the five masteries: turning the mind to the absorptions, entering them, staying as long as one likes, and then leaving them easily and with an accurate knowledge of precisely what one has done. To have such mastery is considered in Burmese Buddhism a rare and heroic feat. And Ledi Sayadaw makes the point about his accomplishments even finer by proclaiming that he will be without equal in the future, during the time of the next Buddha, Metteyya (Maitreya in Sanskrit). 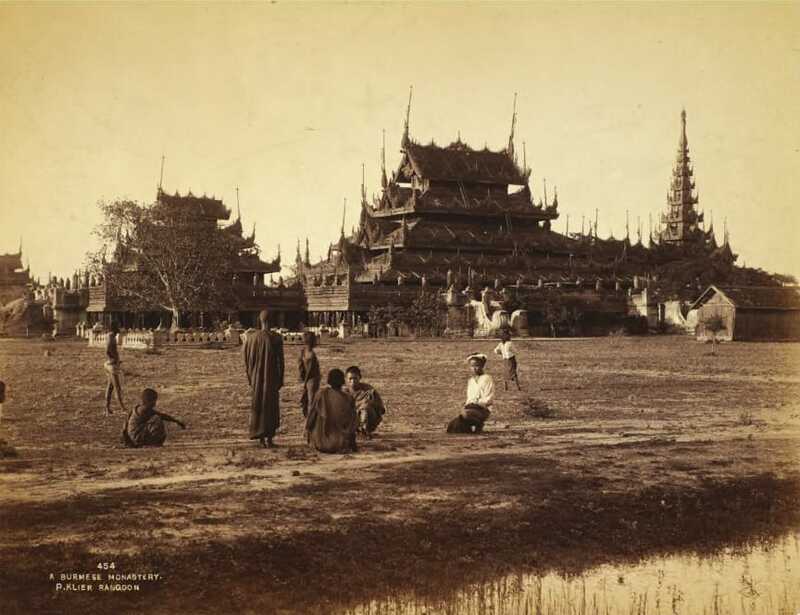 Buddhist monastery, Burma, ca 1890. But, above all, when Ledi Sayadaw preached and wrote, he talked about the Abhidhamma. As one Burmese writer put it, he “gave it like falling rain.” Meditation became an important subject, too, but was usually presented in the context of doctrinal teachings, especially the Abhidhamma. To understand how he popularized insight practice, one must first understand how he popularized the study of Buddhist philosophy. Prior to this period in Ledi Sayadaw’s career, laypeople almost never learned about the Buddha’s teachings on Abhidhamma in any depth; it was considered too difficult for regular folks. If you were a layperson, better to focus on simple matters of morality and giving. But Ledi Sayadaw managed to spread the Abhidhamma far and wide to great acclaim. He wasn’t the only one who worried that Buddhism was nearing its end. Laypeople were anxious as well, and they understood that by learning the Abhidhamma, they too could help preserve the most complex, and therefore most fragile, of the Buddha’s teachings, and so preserve Buddhism as a whole. At least for a while. One of his books, Summary of the Ultimates, a comprehensive overview of Abhidhamma thought, was among Burma’s first spiritual bestsellers. He leveraged his success as a writer and speaker toward social organizing, working not only to popularize but also to institutionalize the study and practice he promoted. In the first decades of the twentieth century, Ledi Sayadaw’s activities played a pivotal role in transforming Burmese Buddhism. The laity, both men and women (he explicitly included women in his efforts), had their roles in Buddhism revamped to include much more personal responsibility. And the people responded; the kind of study advocated by Ledi Sayadaw caught fire among the laity as a means of protecting a Buddhist tradition under threat by British colonialism. Ledi Sayadaw built upon that drive, using it to inform and enable insight meditation. 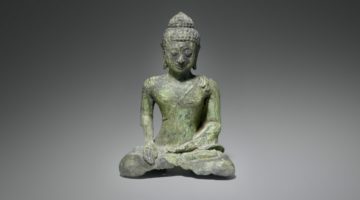 He explicitly linked meditation and study; it is that connection between learning and practice that made mass meditation possible. Indeed, study was so important to his own formation as a young man at Thanjaun that it formed the basis of his vision of practice for laypeople. He believed Abhidhamma learning, in particular, established the proper sensibility and the basic tools for meditation. In his writings, he continually explains that the layperson who studies, even if only at a basic level, prepares herself for insight. He encouraged learning in detail the four elements (dhatus) of earth, wind, fire, and water and believed such concepts were accessible to any educated person. Ledi Sayadaw explained, “If knowledge is ripe, the insight into impermanence may easily be accomplished while listening to a discourse, or while living a householder’s ordinary life.” One could bring the deconstructive approach of Abhidhamma analysis to all experience. Although Ledi Sayadaw claimed to have finished the path of the jhanas, the approach to meditation that he presented to the laity did not require them to aspire to such states. 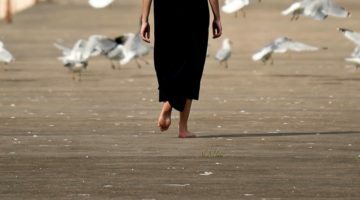 Using just the minimal mental training called “momentary concentration” (khanikasamadhi), one could begin full insight practice by focusing attention on the breath or sensations in the body. This is called “pure” or “dry” insight practice (suddhavipassana or sukkhavipassana). He was the first to lay out this option in detail to a wide audience, a path made possible through study. This revolutionized practice. The jhanas were only for those with time to spend months, if not years, in seclusion. Now, people with busy lives could meditate. This pure method can be found in the canonical texts, but in the past it had been considered less than ideal and was little taught. Suddenly, it became the norm. To this day, it is the standard mode of insight meditation taught in the Burmese practice traditions. The implications of this approach went far beyond meditative insight. In the path proposed by Ledi Sayadaw, the meditator, by internalizing Buddhist teachings, preserved them; like a monk, the layperson became a sort of lineage holder, a protector of the dharma. Alluding to verse 142 of the Dhammapada, Ledi Sayadaw explained, in fact, that a layperson who followed this dry path could be called “a monk in the world, even though a normal layperson.” But this sort of monk held a lineage based not on ordination but on practice. This notion would radically alter laypeople’s understanding of their place in the tradition. By the time of his death in 1923, Ledi Sayadaw had promoted meditation to thousands and thousands of Burmese and, in so doing, sparked a lineage of practice that now transforms lives all over the world. Teachers after him set up the institutions that gave this new conception of lineage its full flowering—first in Burma, then eventually around the globe. Not all who trace their teachings back to Ledi Sayadaw’s have stressed study as much as he did, but they have shared his Abhidhammic orientation and focus on momentary concentration. And there are many. In direct succession, he taught the layman Thetgyi, who taught U Ba Khin, a Burmese layman and government official, who in turn taught many influential teachers from a host of different countries and cultures, including Daw Mya Thwin, Ruth Denison, Robert Hover, John Coleman, and S.N. Goenka. Goenka established over 120 centers throughout the world, and he taught the influential mindfulness teachers Sharon Salzberg and Joseph Goldstein. Though outside of his own lineage, Ledi Sayadaw also fundamentally shaped the intellectual and religious climate that influenced another Burmese monk, the Mingun Sayadaw. Born twenty-four years after Ledi Sayadaw, Mingun Sayadaw would teach Mahasi Sayadaw, whose practice—noting of perceptual events as they arise at the sense doors—also reflects an Abhidhammic orientation first fixed in popular consciousness by Ledi Sayadaw. 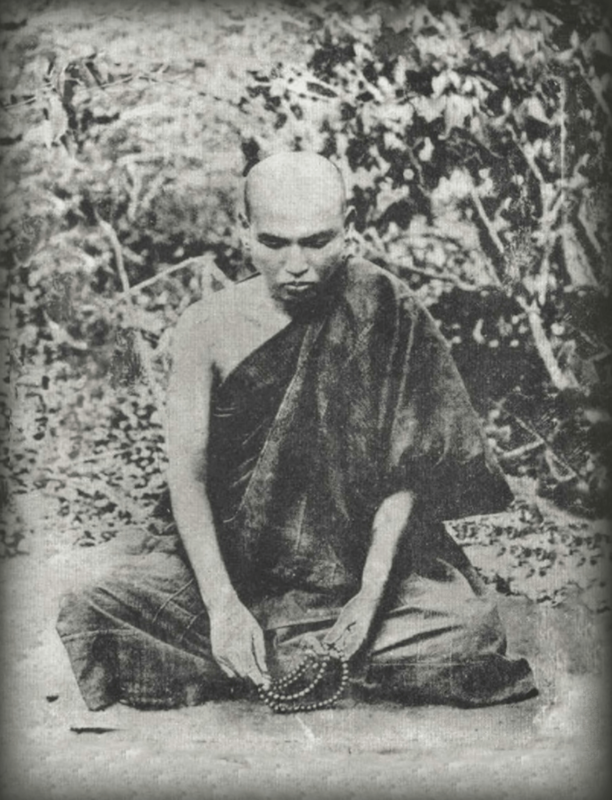 Mahasi Sayadaw’s method became the charter form of insight meditation in the West. It is used as the standard (though not the only) basis for practice at the influential Insight Meditation Society in Barre, Massachusetts, and its approach informs mindfulness training in many secular settings, including the well-known Mindfulness-Based Stress Reduction Program of Jon Kabat-Zinn. Ledi Sayadaw was an innovator who used his scholastic training and concern over the future of the Buddhist tradition to make practice possible on a mass scale. But his legacy goes deeper, for he also popularized the notion that practice could define one’s place in Buddhism. Whether intentional or not, this highly democratic move has had profound implications for Buddhism in the modern age. Lineage in the Buddhist reckoning has always been more than a laundry list of names or even a commemoration of great teachers. It is, rather, a tunnel back in time, a sort of wormhole to the Buddha himself and the promise of his teachings. In a nonliteral but vital sense, to sit deep in meditation brings the awakening of the Buddha, some 2,500 years ago, closer than yesterday’s dishes or the last presidential election. It brings the practitioner into a powerful and immediate relationship with the Buddha. Such practice has led to the elevation of the layperson’s role in Buddhism and even laid the ground for meditation to detach from the rest of Buddhism as a separate tradition in its own right. Greater in scope than even he could have imagined, such developments, in all of their far-reaching implications, trace their origins to the efforts of Ledi Sayadaw.